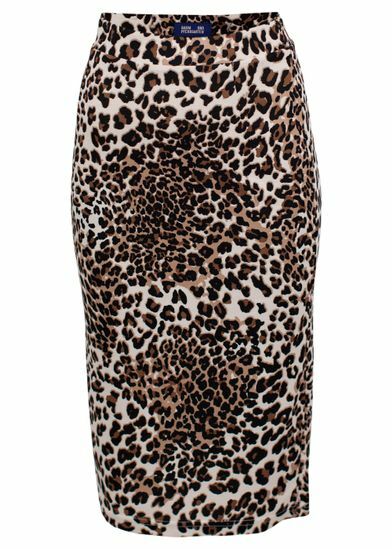 Feminine midi skirt from Baum und Pferdgarten in nice leopard pattern. 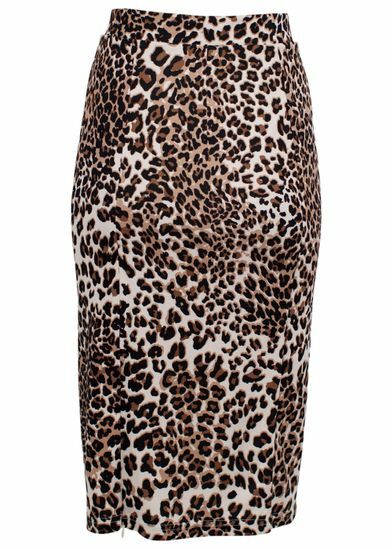 The model has a tight bodycon fit with stretchable material and elasticated waistband. Can be styled with both a basic white or black t-shirt for everyday or a nice for festive occasions.